Optiv will be sharing their insights on the market state of cloud security and how enterprises should bolster their security programs for the evolution of cloud. 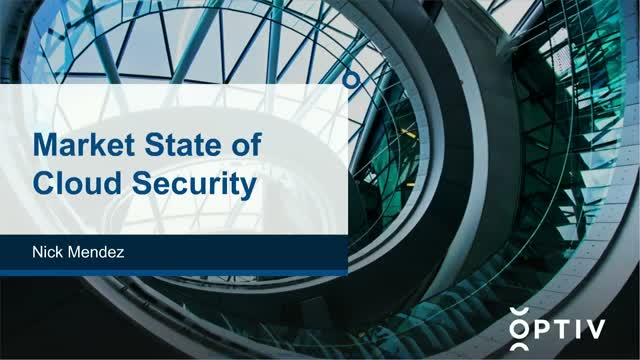 We will cover what we see in the field from the cloud security maturity state of most organizations to the IaaS/PaaS security trends that will impact your cloud deployment plans. At the end of this webinar, you will learn how you can accelerate cloud deployments securely so you gain a competitive edge in today’s market.